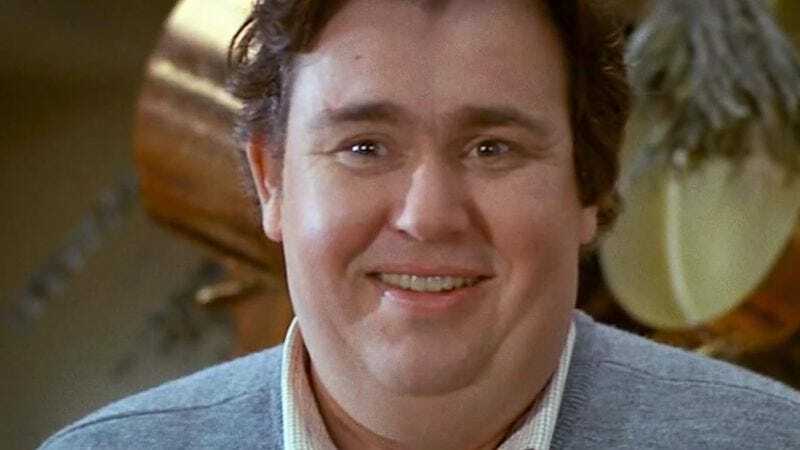 Comedian and actor John Candy has been dead for 21 years now, but his work remains in the minds of both fans and colleagues. One Perfect Shot has memorialized the Canadian-born performer with a poignant and affectionate short film called “Tell Me About John,” lovingly assembled by Dominick Nero. The six-and-a-half-minute montage culls clips from Candy’s best-known performances, including his turns in Uncle Buck, National Lampoon’s Vacation, and Spaceballs, as well as his many and varied roles on SCTV. “Tell Me About John” also draws on documentaries like To John With Love and Remembering John Candy, allowing testimonials from the actor’s friends and fellow actors, such as Martin Short, Tom Hanks, Harold Ramis, and others. Because Candy flourished during the heyday of VHS, Nero has included numerous “tape glitch” effects in his film, as if it were mastered from an ancient, well-worn videocassette. What emerges from “Tell Me About John” is that Candy was a lot like the characters he portrayed in films and on television: goofy, playful, and larger than life. SCTV star Dave Thomas talks about improvising with Candy: “John called it his room. And the more you did John’s room with him, the more you could really play.” Dan Aykroyd, meanwhile, cherishes his memories of a long, long car trip he and Candy took from Toronto to L.A., blasting music and dreaming of stardom. Above all, Candy was a man who loved to entertain and lived to make people laugh. If that meant dressing as a half-man, half-dog for Mel Brooks or being slimed on Nickelodeon, so be it. If nothing else, “Tell Me About John” is a treasure trove of entertaining Candy moments, including his tête-à-tête with Oscar The Grouch on Sesame Street. TELL ME ABOUT JOHN from One Perfect Shot on Vimeo.